Jackie Bradley, a Doctor of Pharmacy student, is one of them. 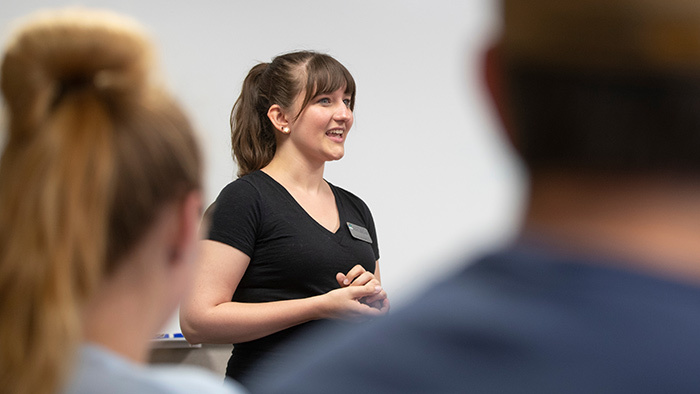 The Paul Ambrose Scholars program highlights students from various health profession schools. Each person completes a project focused in public health education or research. Bradley educated thousands of others about prescription drug misuse. For her scholars project, Bradley launched a Training of the Trainer (TOT) program. Training of the Trainer became the second phase of her newly created internship at Community Partnership of the Ozarks (CPO). Bradley was already giving a training program to youth. TOT spread prevention efforts beyond Bradley’s own capacity. Bradley’s internship at CPO linked the pharmacy profession with public health. As a grant specialist for the State Targeted Response (STR) to the Opioid Crisis, Bradley worked in the prevention branch. Bradley expanded local GenerationRX training efforts. GenerationRX is an evidence-based program started at The Ohio State University College of Pharmacy. The goal: increase public awareness of prescription drug abuse. “We teach teenagers safe medication practices and positive alternatives if they are presented with the opportunity to misuse,” Bradley said. Initially, Bradley targeted K-12 students. After having successful outreach there, she took it one-step farther with the Training of the Trainer program. As long as state funding is available, the grant specialist position will continue. 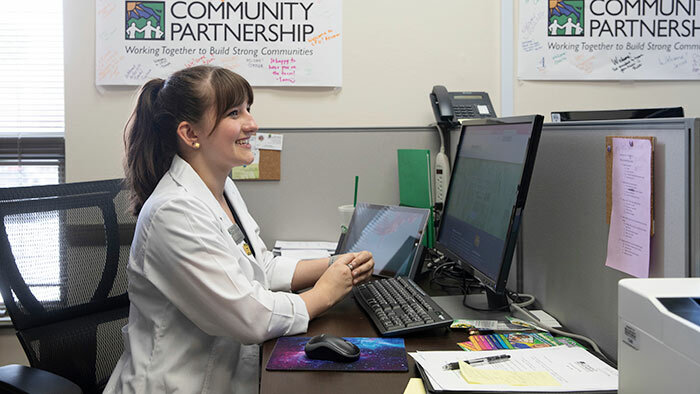 A student from the collaborative UMKC-MSU Doctor of Pharmacy program fills the role. Bradley spent the final days of her internship training her replacement, Kaitlyn Riggs. Both are 2020 PharmD class members. 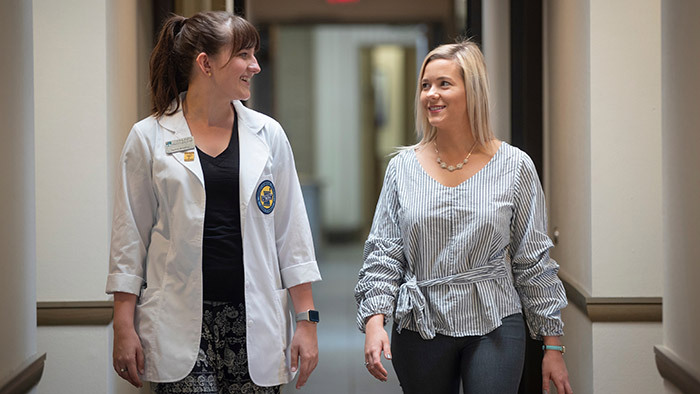 “When CPO wanted to create a position to do the youth outreach and prescription drug misuse education, (pharmacy professors) Dr. Heather Taylor and Dr. Heather Lyons-Burney came to them with the idea that we could use a pharmacy student,” Bradley said.